Summer is finally here. Just as we update our fashion to match the coming season, maybe now is the time to give your bathroom or kitchen a fresh new look. With the sun shining and the longer days, now is the best time to revitalise your home. 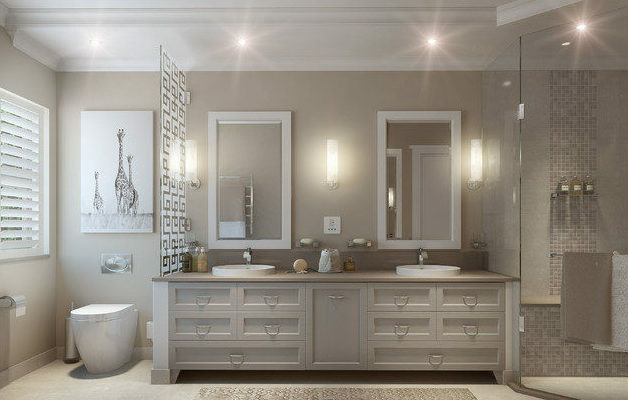 If your bathroom is looking less than its best, why not give it a new lease of life? New bathroom colour schemes. Colour is of course very important and should always complement the style of your bathroom. 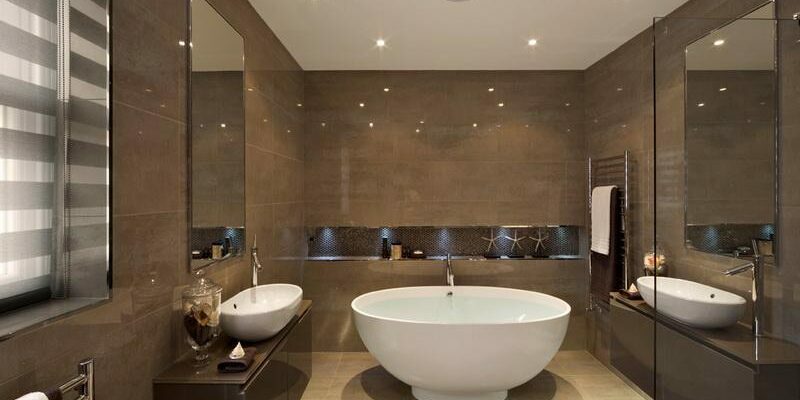 Neutral colour schemes for bathrooms are very popular for obvious reasons. One reason is that they don’t really date and, of course, they suit both classic and contemporary designs. They will always be a sensible compromise for any family space. Don’t think neutral means boring though. A palette of cream, beige and grey create a resting, calming ambience. Additionally though, why not also add some pattern or texture with a statement wall? 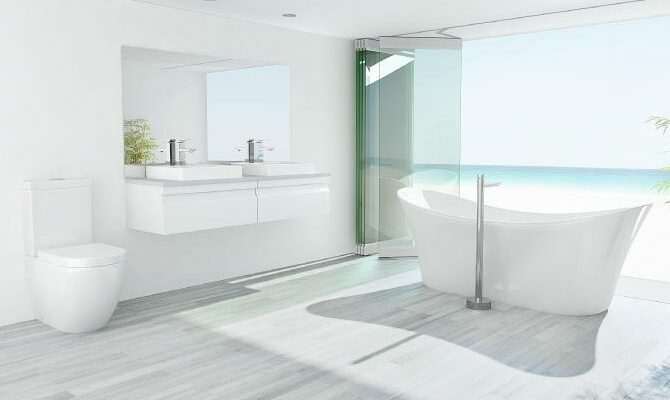 An all white colour scheme can really transform your bathroom for summer. This is a simple and easy way to make a compact or small room feel more spacious. Dominant white palette schemes give off a cool, clean look, they even allow you to make a splash with other elements, such as different patterns and textures. Another way to add interest to a mostly white palette would be to introduce a crisp gloss finish. Another great way to introduce a new colour scheme for your bathroom is with tiles. Also, don’t forget about your floor. Once you’ve got your walls sorted, bring them out by pairing them with equally stylish floor tiles. 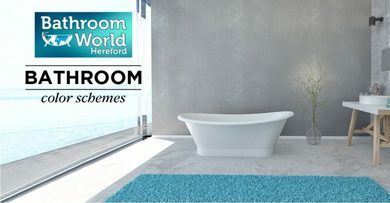 Providing you’re happy with your fixtures and fittings, a new floor can actually be a fast and cost effective way to give your bathroom a new face lift. Naturally, neutrals aren’t for everyone, many of us just need that splash of colour. Red is often viewed as a brave choice, especially when it comes to bathroom colour schemes. Never forget to accessorise. Toiletries and towels are another easy way to bring bold colour to a modern bathroom. Try vibrant shades that will give your home instant lift. Try a lemon yellow, or maybe a hot pink or turquoise, aubergine also works surprisingly well. If you’re keen to go green for summer, don’t forget the how effective plants are. Introducing greenery to your bathroom is such a quick and easy way to revamp. Keeping with the current season is also equally simple, switch up your choice of plants for an instant change. Chrome is the default metal of choice in most modern bathrooms, but it doesn’t have to be that way. Why not be inspired by the summer sunshine and introduce a gold effect touch to your home. 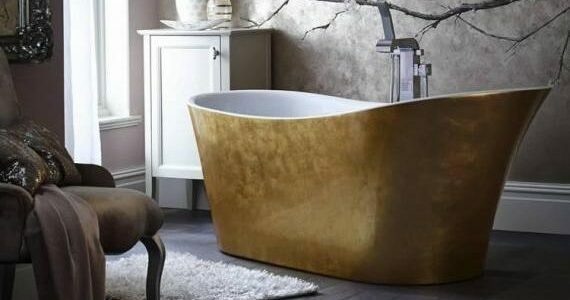 A stand out bath of this colour can make a fabulous focal point for any contemporary bathroom.